The Gray Whale is one that people seem to be able to identify when they are looking into the ocean. They have some characteristics that make them quite familiar in various ways. They can grow to be more than 50 feet long and to weigh more than 36 tons. You will notice whiskers by their mouths. They are in place to help them to sense what is going on around them. You will generally notice that the Gray Whale lives in small groups but sometimes they can form large pods. They don’t stay with the same group all their life though. Instead they form very loose bonds and move on to other groups later on. They are often seen diving out of the waters at amazing speeds. Researchers believe this process helps to remove parasites from their bodies. They also engage in a type of behavior where they only lift their heads out of the water. They arch their head back as if they are soaking up the sun or they are curious about something. This type of whale finds its food source at the very bottom of the waters. They mainly consume crustaceans. They take in water, sediment, debris, and food as they move through the water. The have a filtering system that will remove everything except the food sources. They are in the North Pacific and in both America and Asia. They used to be found in the North Atlantic but they were all destroyed from there during the 18th Century. While they are known to migrate, the definite patterns of some of they aren’t clear. Many of them though end up around the Gulf of California. The mating process for Gray Whales is more complex than with most other species. At least three of them are involved in the courting and then mating process. It may be one male and two females or the other way around. The fact that the females breed with more than one male means that they have a very high chance of successful conception. Research has shown that the age of a Gray Whale isn’t the only distinction for its reproduction. The average age is 8 years for the males and females. However, those that have reached a length of at least 36 feet may be ready to reproduce at a younger age. Gestation takes just slightly over a year before the baby emerges. A newborn can weigh up to 2,000 pounds and be more than 14 feet long. 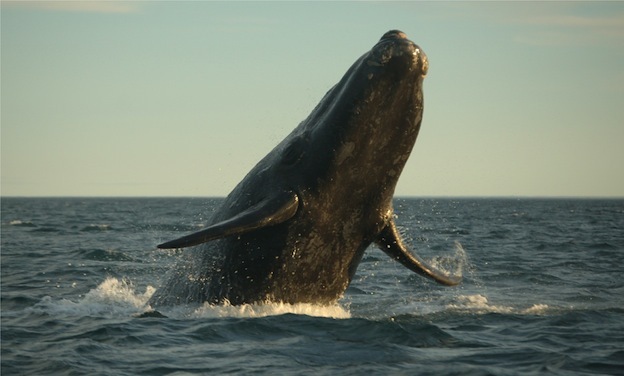 Many hunters found the Gray Whale to be an exceptional challenge for them. Not only is it huge, but it is a fighter as well. This has lead to more people taking up the risky sport of hunting them. They find it to be a thrill to be up against such a creature that is going to fight to survive. In Japan huge numbers of the Gray Whale have been slaughtered for their meat. Today commercial hunting of them is illegal. Of course some of still takes place in both Japan and Europe. Russia allows whaling for up to 140 of the annually. They use the meat of these whales to feed animals they have on breeding farms. In addition to humans, the Gray Whale is sometimes hunted by the killer whales. In a natural environment with conservation efforts in place, the Gray Whale can live to be about 80 years of age. The efforts have been paying off, and the severity of the case for the Gray Whale has decreased. In fact, the government has hopes to remove it from the endangered list within the next five years.